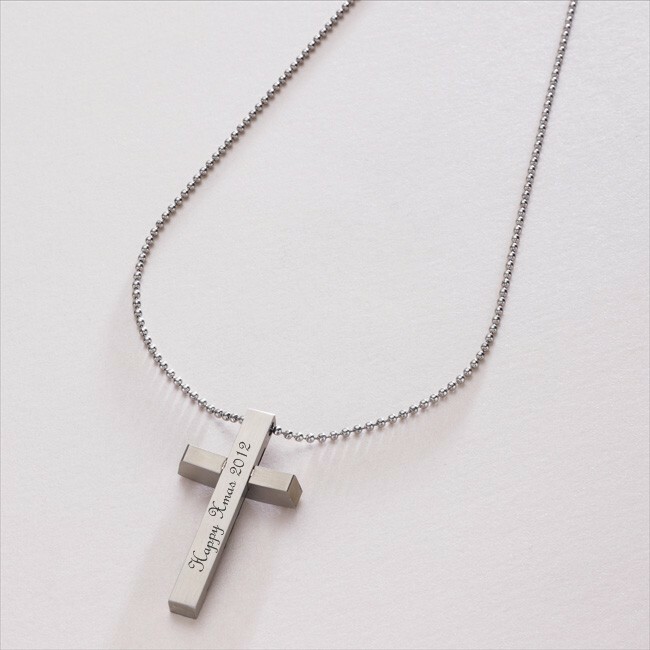 Chain Length Please Select... 18" 20" 24"
Man's Engravable Steel Cross Necklace. 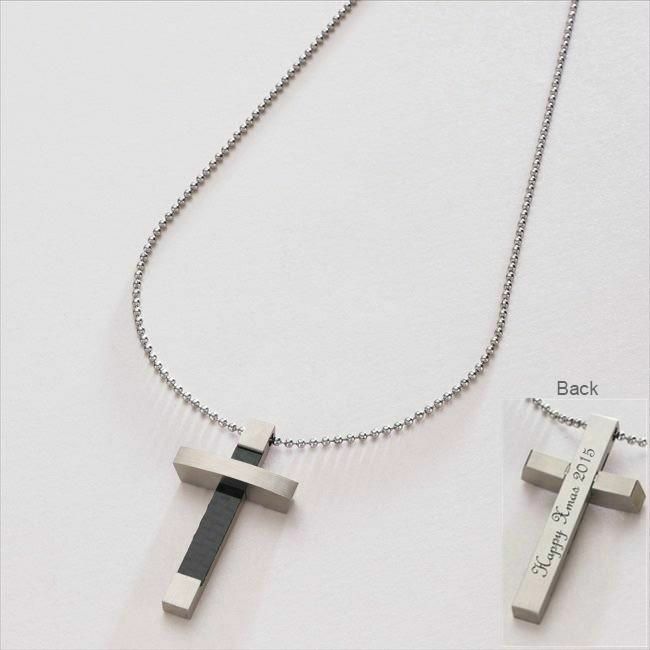 Stylish steel cross pendant with black carbon fiber infill. Comes with free engraving on the reverse. Chain Lengths: 18", 20" or 24" steel ball chain. 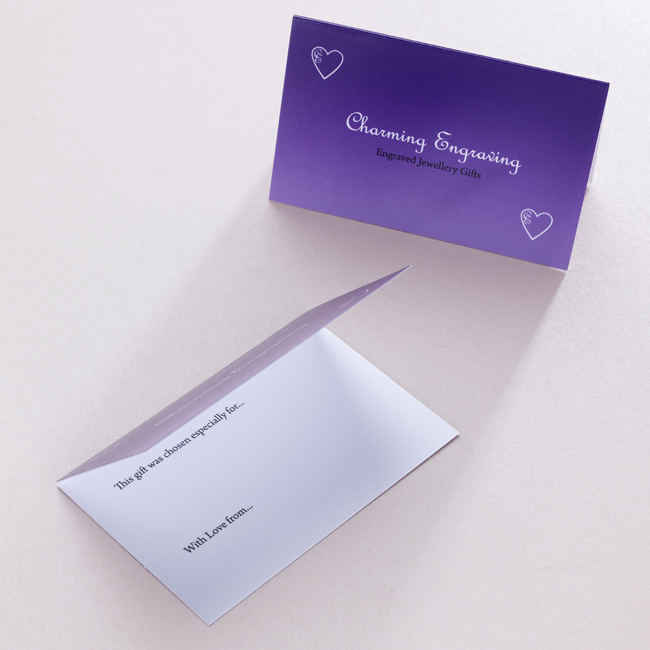 Ideal for adding words and messages such as: Brother, Daddy, Uncle, love from..., I love , children's names and special dates and occasions. A maximum of 20 Characters (including spaces) can be engraved. Metal Parts: Chain and Pendant both made with high quality, tarnish proof stainless steel. Cross Size: 46mm x 25mm x 5mm. 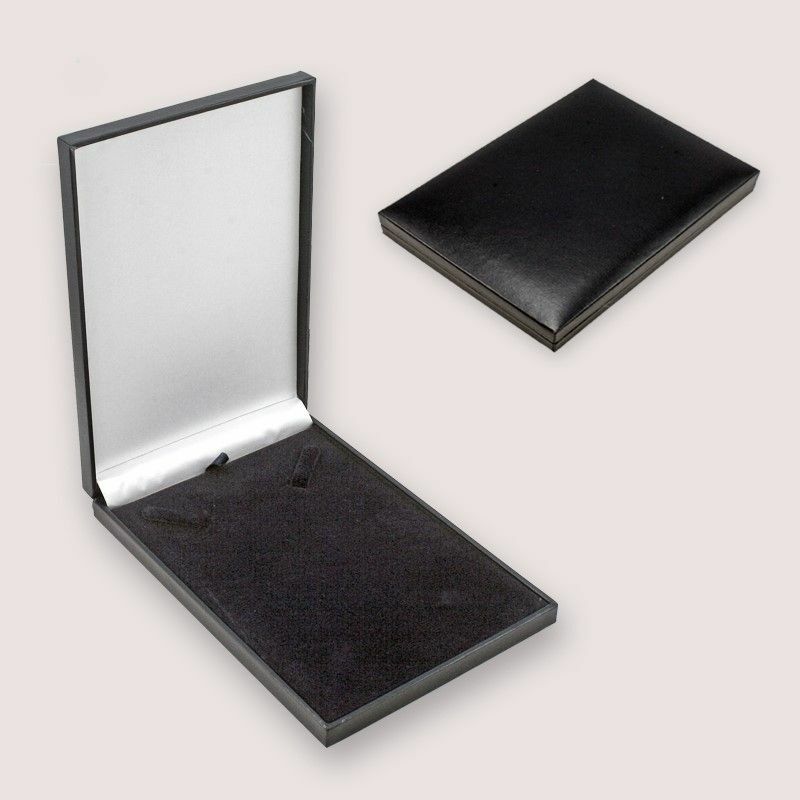 Comes packaged in the jewellery gift box shown.